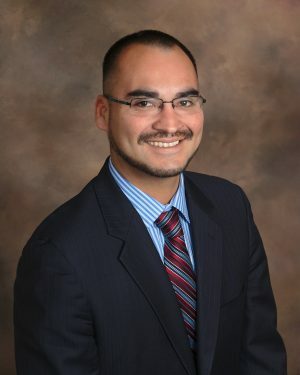 Michael Benavides can stop foreclosure by filing a chapter 13 bankruptcy petition in the Santa Rosa Division of the Northern District of California. If you are facing foreclosure and want to save your home chapter 13 bankruptcy may be the solution. Chapter 13 bankruptcy can give you time to repay late mortgage payments over 3 to 5 years. Whether you have just been threatened with foreclosure or will lose your home tomorrow, call Michael Benavides to learn how you can save your home through chapter 13 bankruptcy. When you file chapter 13 bankruptcy the automatic stay comes into effect and stops the foreclosure process. Under Section 362(a) of the Bankruptcy Code once a bankruptcy petition is filed most collection actions must stop immediately, including the continuation of the foreclosure process or execution of a Trustee’s sale. For instance, filing bankruptcy today will stop the foreclosure sale scheduled for tomorrow. Of course, it’s always advisable to file chapter 13 bankruptcy as soon as possible so all parties can receive notice of the bankruptcy filing. Many homeowners facing foreclosure choose to file an emergency bankruptcy petition. With the help of Michael Benavides you can file an emergency petition and invoke the power of the automatic stay to stop the foreclosure process. In practical terms, many homeowners file an emergency bankruptcy petition to stop the Trustee’s sales from taking place. However, while any bankruptcy attorney can file this skeletal petition you should retain a bankruptcy attorney who understands what is needed to comfortably stop the sale from taking place. After filing the emergency petition the attorney should contact the Trustee and inform them of the filing and the effect of the automatic stay. These efforts to put all relevant parties on notice of your filing is essential to achieving your goal of stopping foreclosure. A common myth about bankruptcy is that you will lose your home if you file bankruptcy. Contrary to this myth, if you are behind on your mortgage payments but file a confirmable chapter 13 plan you can keep your home and catch up on missed mortgage payments over 3 to 5 years. Let’s say that you missed $10,000 in mortgage payments. In chapter 13 bankruptcy you can keep your home and pay the $10,000 over 5 years. The power to stop foreclosure proceedings, cure delinquent mortgage payments, and keep your home through bankruptcy is a powerful reason to file for chapter 13 bankruptcy. Many people who use chapter 13 bankruptcy to stop a Trustee’s sale want to keep their home after bankruptcy. Even if you are behind on mortgage payments you can cure the delinquent payments through your chapter 13 repayment plan and keep your home after bankruptcy. In chapter 13 bankruptcy you can cure defaults on long term debts while you keep the property. In relation to missed mortgage payments, you can cure the delinquent mortgage payments over 3 to 5 years in your chapter 13 bankruptcy. To learn more about keeping your home during chapter 13 bankruptcy contact Santa Rosa bankruptcy attorney Michael Benavides.